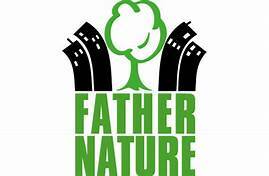 Design a sustainable life for you, your family or your community with Father Nature’s Urban Permaculture Design Course in Myatt’s Fields Park. This is a 12 day PDC (Permaculture Design Certificate) course held over 6 weekends although you are welcome to dip in on a casual basis for the odd weekend if some permaculture knowhow is what you’re after rather than the PDC qualification. Hosted by Father Nature, the course will be led by fully qualified permaculture teacher Joshua Gomez of Eco solutions(http://www.ecojoshua.org/about.html) with special guest teacher Graham Bell (http://grahambell.org.uk/). The focus will be on sustainable solutions to urban living. (www.ecojoshua.org/upcoming.html). Joshua from Eco Solutions will then be in contact via email to discuss your booking, including the number of course days you wish to attend and payment. The price for the full 12 day course varies from £900 (Full cost) to as little as £200 (Full Concession) depending on your income. The cost of a single weekend is £160 (Full cost) to £50 (Full Concession), and a single day is £80 (Full cost) to £30 (Full Concession). * Don’t worry if you can’t afford to pay at all for the course itself, please don’t let that stop your learning. You are welcome to volunteer at one of the course’s mid week ‘dig-ins’ where you can learn about urban permaculture the practical way.